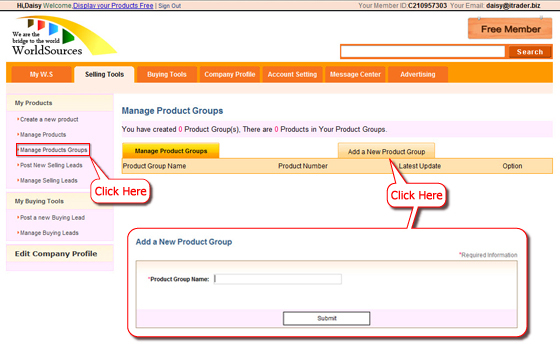 Go to “My WS > My Products > “Click Display a new product”, post your products information, photo and describe what kind of product you are selling. You can also manage your product in a more systematic way by creating different product categories. Users can manage products by post and un-post. 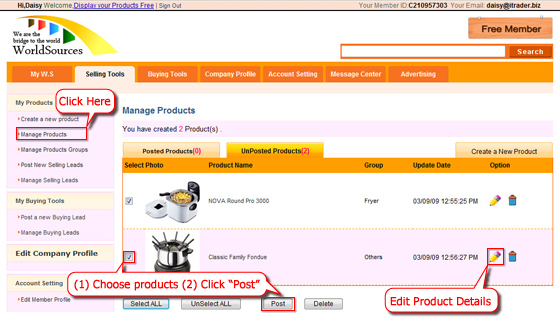 Also users can click the “pencil” icon to edit product details.